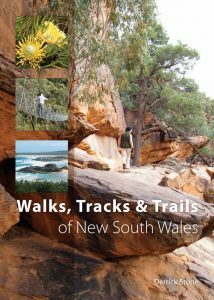 For the first time in a single volume, this book brings together more than 140 of the best walks, tracks or trails in New South Wales, which can be walked by the moderately fit individual. They are located in national parks, coastal parks, state forests, conservation reserves, historic parks and local government and public easements. Other routes follow state highways, minor roads, coastal cliffs, old gold routes, or pass bushranger haunts and back roads linking towns and historical features. Walks, Tracks and Trails of New South Wales highlights the best the state has to offer, from an outback ghost town and ancient lake beds, to Australia’s highest mountain, coastal environments and World Heritage rainforests. Easy-to-interpret maps are included to help you navigate, and the book’s size makes it convenient to bring with you on your adventures. The Southwest wilderness region of Tasmania is remote, strange and lashed by the savage weather of the roaring forties, but it is also one of the most beautiful and unspoiled places in the world. In the past Rutters, were the primary store of geographic information for maritime navigation – a Mariner’s handbook of written sailing directions before the advent of nautical charts. 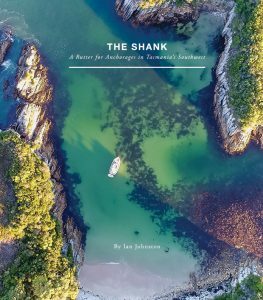 Although The Shank primarily documents the anchorages which can be accessed while sailing the coastline, it also captures the beauty of the rugged south and west coasts and includes superb aerial photography. 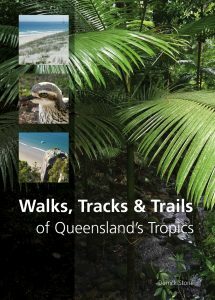 This guidebook has been written by experts from the Australian Geological Survey Organisation, Northern Territory Geological Survey, Environment Australia, Parks Australia, and the Parks and Wildlife Commission of the Northern Territory. 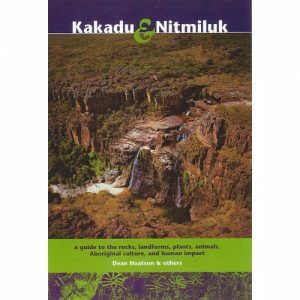 Written for the non-specialist, the guidebook provides a concise and authoritative account of the rocks, landforms, plants, animals, Aboriginal culture and exploration history of the Kakadu and Nitmiluk National Parks. There is also information on places to visit, walking trails, camping facilities, commercial tours and helpful hints on getting the most from your visit. 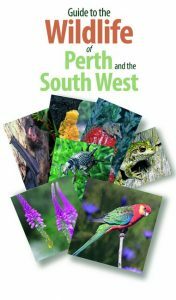 This (reissued) much-respected and encyclopaedic guide, first published in 2014, is indispensable to anyone with an interest in the wide variety of fauna and flora to be found in the south west of Australia. The area bounded by the Margaret River region in the far south west of Western Australia, Lancelin to the north of Perth, Esperance on the mid-south coast and the inland township of Southern Cross is home to a surprisingly diverse range of wildlife, both plants and animals. The expert authors of this book have included a broad selection of the wildlife most likely to be encountered by those living in and travelling though the region. The selection includes many representatives of the animal kingdom from small insects to the largest marsupials, and also an impressive selection of the most beloved wildflowers. Over 1200 photographs provide easy identification and every species is given a brief description together with essential details. The book also includes a section on how to unobtrusively observe wildlife plus a comprehensive 30-plus page review of the best places to observe wildlife, including all the significant National and Conservation Parks in the region. 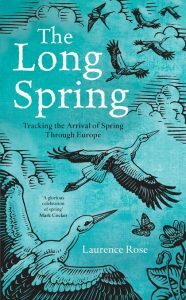 Exploring the wildlife, places, traditions, culture and personalities associated with spring throughout Europe, and introducing readers to cultural, scientific and historical research and his recollections of 30 years of continental travel, Laurence Rose paints a vivid picture of one of the world’s most significant and beautiful natural phenomena: spring. Laurence begins his journey in the first week of February, arriving in southern Spain with the storks that herald the beginning of Europe’s spring on San Blas Day. Swallows, cranes and, later on, wild swans are his constant companions as he journeys his way north through Spain, France and the UK, eventually crossing over to Sweden, Finland and Norway before finally reaching the Arctic Circle four months later. This new series of photographic souvenir guides to some of Australia’s most beautiful and iconic places. The 64-page large format book is full of vibrant photography, accompanied by a concise but fascinating commentary by some of Australia’s most experienced travel writers. 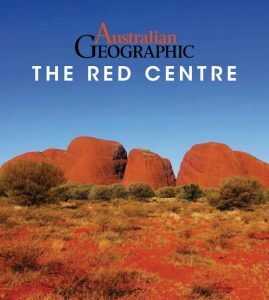 One of the first two books in the series, the Australian Geographic Book of the Red Centre is an indispensable reminder and souvenir for both international and Australian visitors to this very special place. Includes sections on geography, wildlife and culture, Alice Springs, the MacDonnell ranges, the Devil’s Marbles, Hermannsberg and Palm Valley, the Red Centre Way, Watarrka (King’s Canyon), Uluru (Ayers Rock) and Kata Tjuta, and Rainbow Valley. A new series of photographic souvenir guides to some of Australia’s most beautiful and iconic places. The 64-page large format book is full of vibrant photography, accompanied by a concise but fascinating commentary by some of Australia’s most experienced travel writers. 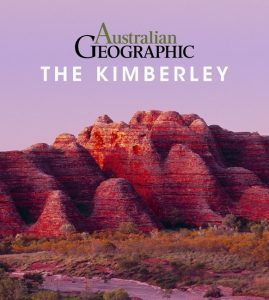 One of the first two books in the series, the Australian Geographic Book of the Kimberley is an indispensable reminder and souvenir for both international and Australian visitors to this very special place. Armchair travellers and children will pick it up time and again to whet their appetites and perhaps to plan their own visits. Includes sections on geography, wildlife and culture, Kununurra and Lake Argyle, El Questro, Purnululu (Bungle Bungles), Gibb River Road, Mitchell River, the Dampier Peninsula and Broome. Artist/Author: Kennedy, Adam Scott and Vicki Kennedy. 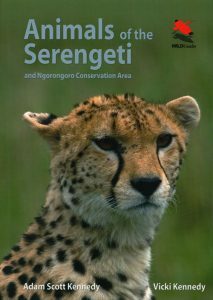 Spectacularly illustrated by 146 colour photographs, this book is a remarkable look at the mammals and reptiles most likely to be encountered in the famous Serengeti National Park and Ngorongoro Crater. 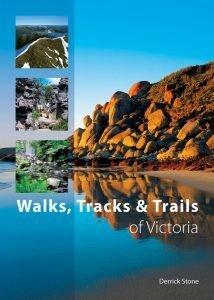 Accessible text coupled with an easy-to-use format, makes this detailed photographic guide a must for all visitors to the region. Details 71 species of mammal and 18 reptiles and illustrates male and female variations. Useful “Top Tips” – shared by local Tanzanian guides that work in the region – provide visitors with insights into behavioural habits and how to locate specific animals. Filled with vivid anecdotes, this book will enable any safari traveller to identify the area’s wildlife with ease. The Great Barrier Reef is one of the world’s last great wilderness areas. Its unique environment supports an astonishing and almost unequalled biodiversity, from microscopic plankton to whales. The human history of the Reef is no less intriguing. Indigenous Australians have known the Reef for millennia and their Dreaming stories offer tantalising glimpses of a truly ancient world. Europeans first encountered the Reef some 500 years ago, but have only recently begun to understand its almost unimaginable complexity. 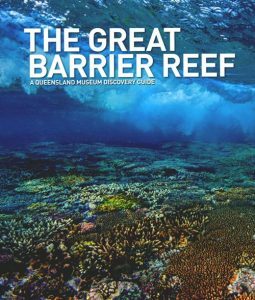 The Great Barrier Reef: A Queensland Museum Discovery Guide weaves these equally vibrant strands of natural and cultural heritage into a single narrative that leads the reader on their own voyage of discovery through one of the most beautiful places on Earth. 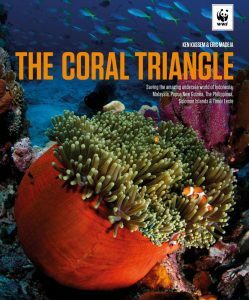 Lavishly illustrated with over 1,300 beautiful full colour images, this comprehensive publication covers the history of the reef and looks at its biological, ecological, cultural and historical significance. Showcases the wide variety of animals to be found on Australia’s Great Barrier Reef.